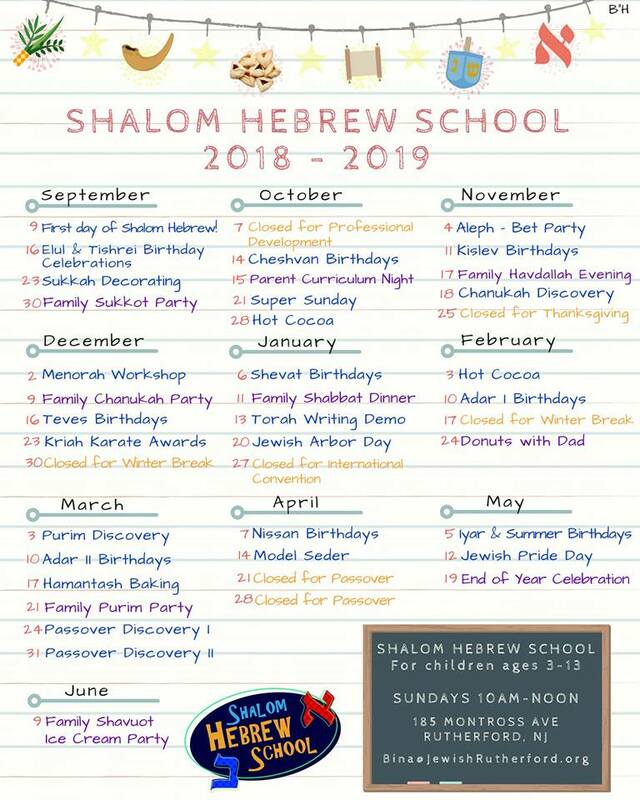 Shalom Hebrew School meets on Sundays 10am to 12pm. Hebrew School tuition is $880 (includes books and snacks) for the year. Early Bird Discount: $30 off each child when registering before May 31, 2018. Shul Members receive $50 off. Refer A Friend Discount: $20 off for each family that registers on your recommendation.